A reel is an essential piece of your fishing equipment, and you need to ensure to have a reel that meets your expectations and preferences. It is not easy to choose the best fishing reels out there because there are so many things to consider. 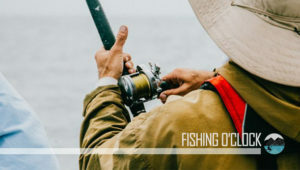 It starts from whether you plan to fish in fresh or saltwater, but it continues by picking from various fishing methods, styles, and types of fishing reels. 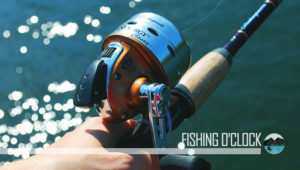 That is why we prepared a detailed buying guide, as well as fishing reel reviews. We will start by focusing on the currently top-rated units out there. Read about details of each reel and discover how you can maximize its features. But before purchasing a particular reel, take a look at our comprehensive fishing reel buying guide. We tried to cover all the relevant details about fishing reels. After reading it, you will learn everything that you need to know, which will get you a step closer to finding your favorite reel. At first glance, this is a modern reel for those anglers that welcome technology into their fishing experience. The product features an LCD display that you can program in a couple of clicks. The display utilizes a battery and simplifies your experience. You can also benefit from the useful data you see on display, such as automatic measuring of how much line you let out. If you want, you have the option to manually adjust the winding, as well as set different speeds thanks to the power lever. The product is not that lightweight, but it is high-quality and suitable to catch fairly large fish. When it comes to general characteristics, it has four ball bearings and a maximum drag of 550 yards. You can choose between two different product options based on your preference and the fish you want to catch. If you are looking for a durable reel, this unit is worth considering. It features eight bearings made of stainless steel and an extra roller bearing for additional protection against corrosion. The manufacturer made the alloy frame in one piece to ensure that it is both strong and light. The company claims that you get a consistent and smooth drag with the maximum drag rating of 12 pounds. That makes this freshwater reel versatile while the handle makes it comfortable. It is an ergonomic product, and you shouldn’t have any problems with the grip or fatigue. It is important to mention that the reel also features an attractive design and cool color combination. Keep in mind that this Abu Garcia model is suitable for smaller lures, so avoid putting heavy lures on it because it is not large enough. That doesn’t affect the versatility of the unit as it is still an excellent choice for various fish species. Here is a cool and modern-looking low profile baitcasting fishing reel with a contemporary design and a combination of metallic grey and blue color. It is the shiny effect that will make this unit attractive to all forward-thinking anglers out there. Apart from the design, the manufacturer also considered the durability and longevity of the unit. It might have a bit higher price tag, but it compensates with the sturdy HAGANE body. Magnesium and aluminum are the materials of choice. They ensure smoothness and prevent reel distortion. You can choose from various sizes of the reel depending on the targeted species and your experience. The unit seems to have a retrieve that doesn’t take a lot of effort, which makes it suitable for long-distance casting. You can use the reel in harsh environments and severe weather conditions, and the product is suitable for saltwater fishing. Penn classically designed this reel, but it made sure to implement many innovative and modern features. The unit features a lever drag system that should be suitable for big fish and heavy lines. Adjusting the drag shouldn’t be a problem even at extreme settings. The reel has two different speeds, and you can easily change from low to high gear whenever necessary. The manufacturer used metal to make both the body and the side plates. While that ensures durability, the reel may be questionable for using in salty waters. Regardless of that, this remains a heavy-duty reel with solid cracking power. It features five ball bearings made of stainless steel. The anti-reverse feature is optional, and you can use it if you are its fan. The reel even comes in left-handed options, so make sure to pick a suitable model to fit your needs. The T-Wing reel comes in both right-handed and left-handed option, and it features an attractive design either way. The combination of black with matte finish and blue is something that will appeal to many anglers. When you scratch under the surface, you notice aluminum of high-quality. The aircraft grade material secures optimal durability. As for other components, the gearing is of high strength, and the unit features eight bearings. The gear ratio is set at 7.3:1. The reel is level wind, which is suitable for newbies and makes distributing the line easier. As the name suggests, it is a coastal reel, but that still secures a lot of versatility. The only downside we noticed is that it could use a bit of grease before you start using it. You can solve that problem in seconds and try the potential of this smooth and strong reel yourself. If you are a fan of taking your boat to deep water, you can consider this reel for catching all sorts of saltwater fish. That includes large species that are tough to catch. The manufacturer claims that the unit is suitable for harsh weather conditions. X-Ship technology is interesting to note. It enhances the overall longevity of the unit and reduces friction between the gear and the spool shaft. In layman’s terms, that secures long-distance casts. Shimano has six ball bearings and an extra roller bearing, as well as the HAGANE body for optimal durability. The maximum drag goes up to 44 pounds and retrieve per crank varies between 38 and 45 inches. Some users may consider the reel a bit stiff, but you will get used to how it feels after a while. The handle has an ergonomic and comfortable grip to reduce fatigue. The spinning reel made by Penn comes in several different weights and sizes. The gear ratio varies from 6.2:1 to 4.7:1 while the weight goes from eight to 27 ounces. Regardless of the size, you will get a fairly durable unit suitable for freshwater fishing. The manufacturer used metal throughout the body construction. The spinning reel is quite easy to use and relatively comfortable. If you know a thing or two about reels, the chances are you can adjust it for even better performance. However, even the default settings should make this unit versatile and suitable for various species. When it comes to smoothness, some say that they expected a smoother reel. However, that is a thing of taste, and you won’t have any problems with it as soon as you get used to the product. You can expect a one-year warranty on the unit. It is worth noting that the design is a mixture of classic and modern with black and gold colors dominating. If you choose a bait cast round reel, you will get a product that doesn’t require a lot of maintaining effort. The design of the unit is fairly simple, and its blue color can make it perfectly fitting for dark rods. When it comes to functionality, you can use the unit for dropping, deep jigging, and trolling, as well as for predator and bass fishing. The star drag feature does a solid job, and level-wing is a convenient feature, especially for newbies. You can easily adjust between two different gears. In case you need to brake, you can use the 6-pin centrifugal braking system. The handle is compact and easy to operate. The C4 unit has four standard bearings made of stainless steel. The reel is among the affordable units on the market, which may affect the durability of the product, but it still provides value for money. The last in the line of reels that we present is a suitable choice for ice fishing. The manufacturer went with a modern design and a combination of black and blue with a matte finish. As you can see on the product, the gear ratio is 6.2:1, which is fairly high. The graphite frame ensures that the unit remains lightweight. The reel can stop up to 17.5 pounds thanks to the drag system. The product feels quite smooth when you use it. The reel has nine bearings and an anti-reverse one to improve smoothness. The handle is interchangeable, which makes the product suitable for all anglers. The product does a solid job in resisting corrosion. You could have a bit of issue with the line spooling evenly, but that is far from being a deal breaker. For an affordable unit, the product is quite durable. You can consider many different things when purchasing a fishing reel. We tried to cover them all in this article so that you can pick the ideal product for your needs amongst baitcasters, spinning reels and spincasters. Drag System – Lever or Star? When it comes to drag systems, you can choose between star and lever drag. The first one is in the shape of a star and placed inside the handle. Lever systems, on the other hand, use a lever that you move to adjust the drag. Fish size – use a star system for fish up to 50 pounds, and the level alternative for bigger fish. Castability – you can cast a star drag far, but it depends on the unit and some lever units are getting close to that castability. If you want a smooth reel, you need to ensure that the quantity of bearings is generous. Additionally, bearings are important for the longevity of the reel. The bearings vary from one to 12 with a couple of bearings being enough if you are using a basic unit. If you have the chance to test both, you will notice how this part can change the feeling when using the reel. It is quite self-explanatory as this information tells you how much line a reel can provide. In most cases, you can find the data in the product description. You can also use reel capacity and line diameter to calculate this information yourself. Line lay is a feature that shows you how easy it is to cast with that reel, especially when you are aiming for long-distance casting. The best option is a flat line lay as that enables you the greatest accuracy, too. However, many manufacturers do not provide this information in the product description, which is why you should carefully read the reviews. Line clips are also crucial to achieve optimal accuracy when casting. You want to be accurate to increase the odds of catching the desired fish. That is why you should aim to have a spool with a line clip on it. Here is how it works –you cast the rig and use the line clip to wrap the line around it. That is how you will be able to hit the same distance as long as you aim in the same direction. It is important to analyze this information as it indicates the speed of the reel. For example, a 5:1 ratio means you spin the rotor around the spool five times each time you turn the handle fully. The retrieve ratio depends on the reel style with some going up to 7.5:1 and others being as low as 4:1. You should aim for a higher speed if you are a long-distance angler. It saves you time when you are retrieving the rig. You can choose from various sizes of reels, and the manufacturers often offer the same model in various sizes. The numbering system may be different (from 025 to 040 or from 1,000 to 12,000), but a smaller number marks a smaller reel in both cases. Small reels are lightweight and easy to move, but you may need a bigger reel if you are heading for long-distance fishing or tackling large fish. It is one of the rare categories where you can rely solely on your taste. The important thing is that the handle fits your hands nicely. Apart from that, make sure that it is non-slippery to secure optimal control in wet weather conditions. The material of the frame will determine two things – whether your reel is suitable for saltwater fishing, and how durable the product it. Saltwater units are made of stainless steel or other material that is non-corroding. That secures optimal durability and increases the lifespan of a reel. On the other hand, freshwater units can be of metal. Although they might not have the same durability, you can also be satisfied with their longevity. A level wind allows you to distribute the line evenly when you are retrieving the rig. It is a convenient feature, but it depends on your style of fishing. Keep in mind that level winds are sometimes prone to failure and may not be reliable all the time. That means you might need to intervene to ensure optimal line distribution. You will find this feature on spinning reels. When it comes to the purpose, you use it to keep the reel from turning backward and engaging the drag. It slowly becomes an outdated technique. Although some manufacturers still include it, many choose to let you pick whether you want to activate it or not. Centrifugal – in this type, you use a centrifugal force to reduce the spool rotation speed. Magnetic – it involves magnets working on reducing the spool speed by utilizing attracting magnet force. Tension – this is the main braking system in a reel, and it requires using a knob. If you rotate it in one direction, you will increase the spool pressure. Rotating it in the other direction decreases the pressure. We are starting with the type that is most frequently used. Fixed spool was the first reel for many anglers out there, and many chose to stick to this option as it best suits them. As the name suggests, the spool shouldn’t move in standard circumstances. The rotor arm serves to wind back the line. You have a vast choice of fixed spools by many manufacturers. These reels are versatile, and you can use them for various fishing types. Additionally, they are suitable for beginners and come at a fairly affordable price. You could say that these are an upgrade of fixed spools. The improvement lies in the additionally available drag. You can choose the desired tension for turning the spool when you turn on this system. As soon as you take the rod, you can stop the feature. Many use a free spool for big fish, which implies that it is a bit heavier than a fixed spool. As a result, you can expect a learning curve until you figure out its mechanics. If you prefer to fish in circumstances when large distances are required, you can consider this type of reel. The big pit is essentially a fixed spool reel, but it is different than the classic style. It has big handles and small body, but the crucial difference s the huge spool that can hold thick lines. You can strip the lines off effortlessly on big pit reels. As for other characteristics, it is largely similar to fixed spools as it has folding handles, line clips, and some other identical features. The history of center pin reels goes as back as three centuries ago. The idea is simple – the reel goes freely on its axle. The spool is perpendicular to the rod, and it has a big diameter, which enables you to cast far. The crucial thing to know about this reel is that it is drag-free and spool-free. The goal of this is to create moves that the fish will consider more natural. When it comes to dragging, you use your thumb to control the fish on the line. It may be a great choice for carp and other big fish, but it will require a bit of skill to control it. You won’t find many manufacturers making closed face reels as the open face variants are far more popular. You can consider this option if you like to fish on the river. That is because closed face reels are light, which makes them suitable for newbies and easy to move around without causing fatigue. Although you shouldn’t expect a large amount of power from them, they can still do the job, especially if you are focused on small to medium-sized fish. Saltwater fishermen are those who primarily choose these reels, but lure anglers may also pick them. These reels are compact and light, which means that experienced fishers can even use them single-handedly. You place the multiplier reel on the rod, which is why it is essential to have a compatible rod. Setting up everything may be a bit of a hassle, but you shouldn’t have any problems using the reel. Are you dreaming about catching a particular type of fish? Perhaps you are aware that a particular species is common in your area and you want to prepare your equipment for them. Let’s take a look at some reel suggestions based on the species that you want to fish. Bass – choose a small reel, ideally the size 30 (3000). Musky – it is a large fish, so make sure to use a fairly large reel. Catfish – you can use bait cast, spinning, and spin cast reels, but make sure you get a high-quality unit. Carp – another species that is considered large and requires a big-sized fishing rod. Trout – you can use small reels for trout. Some species respond well to 10 (1000) size units. Tuna – as big fish, tuna requires you to use a big-sized (12,000) reel. Fly fishing – you use special fly rods and lines, and in the place of lures are artificial flies. Ice fishing – in cold temperatures, you can fish through the ice hole and catch fish in the frozen water. Bottom fishing – here you focus at the water bottom to catch fish that lives there. 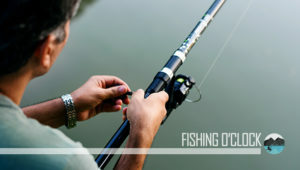 Angling – you use a rod, line, and an angle (hook) where you place the bait. Float fishing – it is the method when you use a small inflatable boat to avoid scaring fish. Surf fishing – you consider yourself a surf fisherman when you are on the shore and aim to catch fish nearby. Your experience is one of the things you must consider when choosing the desired reel. If you are a beginner, you should probably stick to the basic fixed spool reel. Once you feel like you are skilled and experienced enough, consider other models that are trickier to control and would enable you to tackle large fish. Before choosing a reel, you should know more about these two approaches to fishing. Inshore fishing usually occurs close to the shore. You can consider yourself an inshore fisherman if you are fishing in water that is not more than 98 inches deep. If you decide to head into deeper waters, you are going offshore. You can use a small boat and even a canoe, or you do not have to use a boat at all. The experts recommend light tackle, and you can pick dead or live bait. Suitable for newbies and families as the chances are you will catch plenty of fish. Primarily focused on small species, such as striped bass, snapper, and tarpon. You will need a reliable boat because you will be far away from the shore. Requires trolling equipment, as well as heavy tackle. You should invest in extra equipment like sonar, weather gadgets, radio, and radars. Suitable for experienced fisherman and large species, such as marlin, tuna, and sharks. When you are choosing a reel, consider the above things listed, and you will be on your way of picking the right product. The choice sounds obvious – you pick a reel based on where you plan to fish. However, let’s get to know both freshwater and saltwater reels better so that you know what you are buying. By default, you should only use freshwater reels in waters that are not salty, such as lakes or rivers. Their main advantage is the affordable price. Many consider them the basic version of reels as the durability largely varies from one unit to another. The manufacturer’s preferred choice is metal, which is why they are unsuitable for saltwater fishing. Due to the salt, corrosion is imminent. Some say that saltwater reels are an enhanced version of their freshwater counterparts. They have to deal with salt, which is why the manufacturers use non-corroding materials. That way the reels remain a long-term solution even if you only use them in salty waters. However, they are also versatile and suitable for freshwaters. If the budget allows you, you cannot go wrong with a saltwater reel. Those units are versatile, and you can use them in freshwater, too. On top of that, they are extremely durable and made of non-corroding components. However, if you know there is no opportunity to fish in saltwater in your area, you can save some money by purchasing a freshwater reel. What Type of Reel Is Best for Ice Fishing? Spinning reels – you place it on the rod from the bottom side. An open-faced reel with a fixed spool that is considered suitable for beginners and extremely versatile. Inline reels – also placed on the rod from the bottom side, but it is also in line with it. Quite popular among ice fishermen. Baitcasting reel – a heavy option with big baskets. They have adjustable spools, but you need some experience to learn how to work with it. If you are a beginner ice fisher, you should start with a spinning reel. However, it does have a certain downside, so make sure to move to an inline or bait casting reel as soon as you think you have enough skill and experience. When it comes to other features of the reel, the primary thing to ensure is that it has protection against freezing. You will fish on below-zero temperatures, and you want adequate equipment. Graphite and aluminum reels are quite durable. If possible and it suits your needs, always go for a light reel as it is easier to move. What Type of Reel Is Best for Surf Fishing? If you are looking for excitement, experienced fishermen would certainly recommend surf fishing. It is also convenient because you do not need a boat at all. Instead, you stand on the shoreline or a pier (make sure it is allowed to fish there) and try to catch the desired species. Depending on your position, you can catch various species, including striped bass, flounder, blackfish, redfish, bluefish, etc. The best part is that you never know which fish you are going to catch, although using specific lures can increase chances for a particular type. Reel length – the length of your equipment will depend on your location, as well as what your dream catch is. In general, try to make the reel as long as you need, but not longer than that. A conventional spool is a way to go – if you do not consider yourself an experienced fisherman, you don’t have to splash your cash on a long spool. Instead, a conventional variant is more than useful, especially if you secure a good drag. Make sure it is durable – you don’t want an equipment piece to break, so make sure that it is of adequate durability. Fishing reels usually fall into 2 types- Spinners and Baitcasters. Variations of reels exist that add on to the fundamentals (strength, spool size, mechanism) such as a Fly, Surf and Ice fishing reels. Briefly listed below are some attributes and reasons why anglers choose these reels based on where and why they are fishing. Is any sort of fishing in which the weight of the line is used to cast a fly so as to lure a fish. Fly fishing, in a nutshell, is that the angler is trying to is to fool the fish with any artificial insect looking bait such as a fly or other animal pieces, including feathers and hair. Uses real or artificial flies – anything that a fish would eat in nature, Is used to entice them onto the lure. Done in salty and fresh water sources but typically done in moving waters. Used to catch many different types of fish such as bass, perch, bluegill, walleye, pike, carp. Live bait is typically used for these types of reels and they are able to catch some of the largest fish out there due to their strength. Ice Anglers that consider themselves purists, see ice fishing as basic as making a hole, setting up a line and sitting on a stool waiting for the fish to bite. These reels are typically reinforced to handle the sometimes -30 degree weather that ice anglers subject them too. Some reels even have an antifreeze option. There are 3 types that are used Inline, Spinners and Baitcaster. Inline reels are popular with ice anglers because they don’t twist the line and are less fussy. They are usually used for smaller fish. Spinning reels are a more sophisticated option then Inline and provide more versatility than other ice fishing reels. Lures used with ice reels are typically spoons, Williams ice jig, and Eagle claws. Another choice that you will have to make is the one between open and closed face reels. The name is quite self-explanatory, but what is the difference between the two options? Here is a comparison of open and closed reels in various categories. Casting – closed reels are easier to cast while open types require a bit more effort. You should ensure to open the bail, and some extra skills may be useful for optimal castings, such as using your thumb to navigate the line out. Price – it depends on the unit, but open reels are more expensive on average. Versatility – when considering this category, we consider line types that are suitable for both reels. Due to the limited space inside, closed reels face restrictions when it comes to how much line they can hold. Additionally, they are not as good with heavy lines as their open-faced counterparts. Backlash – you will need some skill and experience to learn to control an open reel. Otherwise, you may face backlash, and the line may wrap around the rod’s tip. While it is ultimately your choice and it depends on the unit, the general rule is that closed reels are suitable for beginners. Despite all the limitations, they can still do a good job and are easier to control. Open reels give you more possibilities, but controlling them takes some skill. When picking a reel, it is vital to stick to a reputable manufacturer. Fortunately for anglers, there are many companies with great products out there. Here is a selection of top reel brands on the market. Shimano is a brand that has been around for almost a century since it had been established in 1921. The goal of the company has always been precision and delivering top-quality products to customers. The wide range of items they make includes fishing reels, rods, and lures, as well as other equipment and even fisherman’s clothing. Fishing is not the only sporting goods industry in which they are active. They also make rowing and cycling equipment, and many professionals use their products. The reason why they managed to stay a great choice for so long is their ambition and the fact they are always striving to innovate. The main headquarters of the company is in Taiwan, but they have offices across five continents and a branch in the United States. Ever since day one, they have been dedicated to innovation while keeping the equipment affordable and accessible for fishermen throughout the world. The current motto of the company is “Inspired fishing,” and that speaks a lot about Okuma. They have a skilled team dedicated to making all sorts of fishing equipment for amateurs and professionals. The company has been around for over three decades, and they have established themselves as a trustworthy and reliable brand in the meantime. Daiwa is a company that has always known they will focus on the fishing industry. It has been more than six decades when their first reel appeared on the market in 1955. Ever since then, they can be proud of the design of their reels, and the fact that they are constantly perfecting their products. The company offers an extensive choice of saltwater and freshwater reels for all fisherman types. If you ever need rods, lures, lines, or other accessories, Daiwa has them, too. The company has authorized warranty centers across the United States, which contributed to the durability of their products. The name might suggest otherwise, but Abu Garcia was founded in Sweden in 1921. They started by making taxi meters, telephone timers, and pocket watches. After World War II, they shifted their focus to fishing, and they made the right decision. It didn’t take long to establish the company as the leader in the industry, and it has remained so until today. Abu Garcia manufactures all sorts of reels, including spincast, spinning, and conventional models. They also make rods, apparel, and tools to take an angler’s experience to the next level. Each of their products comes with a warranty. The manufacturer entered the fishing industry in 1932 but has been a prominent member of it ever since. Penn centers its resources on making innovative products that would serve anglers, as well as reels that have tempting design and aesthetic value. It is interesting to note that Penn focuses on manufacturing saltwater reels. These are durable reels that are incredibly versatile and durable, but as a result, their products might have a heavier price tag. However, each purchase will be a long-term one as each of their products has a warranty and will last for years to come. You can also buy tools, apparel, and rods made by the same manufacturer. In the first years of its existence, this company has imported top-quality materials from Japan and introduced them to the American market. That speaks enough about the innovation of the Lew’s founder, Lew Childre. The same desire for innovation is noticeable today. Whether you are looking for spinning or casting reels, the chances are you will find one that suits you in the portfolio of this company. The design of the reels is great, and it combines aesthetics and functionality. The company directly secures a warranty for each of their reels. When it comes to prices, they largely depend on the product. A company that is hard to pronounce, but it is worth the effort because the quality of their products is unmatchable. They are the pioneers of the fishing industry as Pflueger was established in 1881. They also designed the first baitcast reel in 1916. Up until today, they remained dedicated to innovation. Pflueger has a comprehensive collection of reels, including spinning, fly, spincast, and baitcasting reels. They also offer spare pools, but each of their products comes with a warranty. Modern design and color combination are among the reasons why many anglers throughout the globe choose this manufacturer. Simply put, fishing line is a cord used for angling. If only it was that simple! 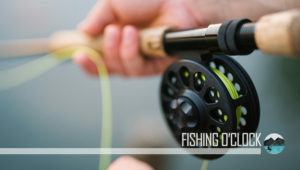 Like fishing reels, lines used by anglers vary depending on the reel, castability, the type of fish they want to catch and the water environment that they are in. Unlike in the past, modern lines that are used for Spinning, Spincast, or Baitcasting are almost always made from a substance that is artificial. This allows for a multitude of different types of fishing lines with characteristics such as UV resistance and increased strength. Let’s take a look at some of the more common lines and where and how to use them. Monofilament lines are created by mixing different heated polymers and then extruded through a die with tiny holes that form strands. Monofilament lines are extremely versatile and can be used with any type of fishing. They are used in Troll Fishing, Kite Fishing, and general fishing. Due to its strength and resistance to abrasion, they can be used for fishing around piers, structures, and rocky shores. Monofilament’s strength is displayed when anglers fish big game species due to its natural shock absorbing qualities. The benefits of this are it reduces the pull when large fish pull back or accelerate and it can reduce the movement of the hook in the fish’s mouth that would lower the risk of major damage to the fish. Monofilament can be used with Spinning and Baitcasters. Harder for fish to see- best used in clear waters. “Memory”- monofilament lines tend to hold the shape of the spool which limits re-use. Absorbs water – changes physical properties more than other lines. Exposure to UV (sunlight) destroys the line. Braided lines have been around for a long time. One of the earliest types of fishing line used were typically made from natural fibers. They are very popular due to their high knot strength; UV resistance and they don’t change properties in the water. Braided lines have very little stretch, making them very sensitive to fish bites. This is important when you fish for species that have a gentle bite. Due to the flexibility of Braided lines, they can be cast very long distances. Braids are good for fishing when there is a lot of vegetation in the water such as lily pads, or water hyacinths. The braided line can cut through the plant stems preventing the fish from tangling things up. Braid lines are typically twice as strong as monofilament, sinks faster and casts farther and trolls deeper than other lines. Braid lines have no memory and can be reused more than mono. No UV damage- can be used over and over. Lack of stretch makes for a very “tactile” fishing experience. Fluorocarbon is often used as a “leader” material for lines. Its invisible underwater and has a high abrasion threshold. Fluorocarbon compliments and assists with braid lines in what they lack. Fluorocarbon typically is not used on the whole spool due to being “wirier” than other lines. This line really shines in clear water fishing and its low stretch and durability make it a favorite for hard hook sets and fishing in cover. Does not change its physical properties whether dry or wet. One of the key fishing equipment that often gets overlooked when you need them is a good set of fishing pliers. Unless you have hooked a fish with multiple hooks, and need to change a hook on your lure or cut a fishing line, you won’t know precisely why fishing pliers are essential. The necessity to cut a hook can arise anytime when fishing. You need a good plier that will exert enough leverage force to cut the hook — an excellent choice for those tasks would be a pair of split ring pliers. Fishing pliers can be used to cut a fishing line when you need a clean even cut. To get a hook out of a fish’s mouth is a challenging task, but with a good pair of long nose pliers, you can easily remove the hook no matter how deep it is. Fishing pliers also come in handy when crimping rigs. This is the fastest and most reliable method of making joints in monofilament and cable. Modern Fishing backpacks are an incredible improvement from the standard pack. They allow you to organize all your fishing gear and provide easier carriage. The backpack is designed to make your fishing experienced more enjoyable and comfortable. You can use the bag to carry everything you need – hands-free. It’s a storage system that saves you a whole amount of time. Going fishing without a fishing backpack can be tiresome with your reel in one hand and tackle box in the other. And that is even tougher to manage presuming you didn’t forget to pack your cooler! The best backpack should be water and salt resistant; comfortable to carry- easy on your back, and shouldn’t slide on slick and wet surfaces. Be sure that the backpack you buy has room for multiple Plano trays. It will take some time and effort to choose the best fishing reels that will perfectly suit your taste. The first thing you want to think about is what kind of a fisherman you are, or you want to be. If you have a particular location or fishing approach in mind, aim for a reel that can fit those expectations. Newbies should start with those units that are easy to use and control, and suitable for small fish. Experienced anglers may consider larger units, too. The important thing is that you will probably find your favorite type in our fishing reel reviews. Now that you have gathered all information from the buying guide, perhaps it is time to check out the reviews once again. As an informed buyer, you will easily pick the unit that will deliver the results you expect from it.